Jim O’Heir brought life to Jerry Gergich on Parks and Recreation which ran for 7 seasons and 125 episodes. 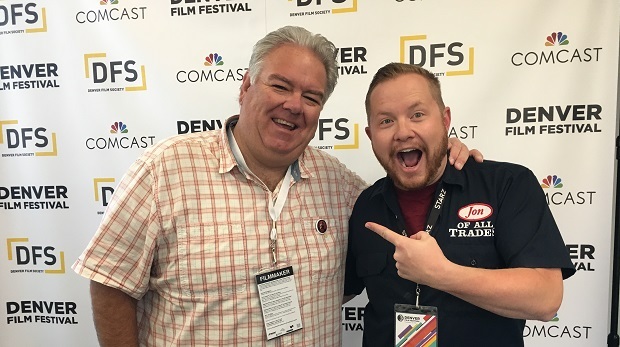 Since Parks and Recreation is one of my all-time favorite things in the history of the universe, the opportunity to sit down with Jim O’Heir for an hour was an enormous thrill. Just like Jerry, Jim is very warm and thoughtful. However, unlike Jerry, Jim drops plenty of profanity, isn’t afraid to work very blue, and loves to bust balls. In fact, he busts my chops throughout the duration of this week’s show, and I’ll tell you, it’s some of the most fun I’ve had on this podcast. It’s always a treat when a guest is clearly comfortable getting interviewed and isn’t afraid to mix it up. Jim is well-versed in pop culture as we talk everything from Seinfeld to Major League to Patton Oswalt to Michael Schur as a showrunner to how incredible the vibe was on the set of Parks and Recreation. This is a man who clearly enjoys his work and enjoys the world he inhabits. That’s fun to be around. We also talk about his film Middle Man, which I describe in the interview – and Jim agrees with – as “delightfully fucked up.” It’s a dark comedy that subverts the viewer’s expectations of the man who’s most famous for playing Jerry Gergich. I recommend this film highly, and gaining insight into how it got made is interesting as hell on its own. If you’re reading this, you’re almost certainly already a fan of either Parks and Recreation or are a regular listener of this show, or both. So nothing I write here is going to sell you anymore than whatever reason brought you. So here’s the episode. Enjoy it, and then tell your friends about Middle Man, the Jon of All Trades Podcast, and Jim O’Heir’s consistently excellent work. Follow Jim O’Heir on Twitter. Follow Middle Man on Twitter. Like Middle Man on Facebook. Download the Jon of All Trades Podcast on iTunes, or stream us on Stitcher. P.S. I begin the interview mentioning Jim’s appearance during Round 7 of Geek Bowl VIII. He didn’t even remember doing it. For his benefit and yours, here he is asking the question.